A US jury has recommended the death penalty for a woman convicted of killing a pregnant stranger, cutting her abdomen open and stealing her unborn baby. Lisa Montgomery, a mother of three teenage children, was desperate for another child to shore up her marriage. At a dog show in Kansas, she met a pregnant woman, Bobbi Jo Stinnett, and hatched a plan. The Stinnetts bred dogs at their home in Skidmore, Missouri and Bobbi Jo advertised rat terrier puppies for sale on the internet. One morning in December 2004 Montgomery arrived at Bobbi Jo's home on the pretext of buying a dog, but overpowered and strangled her. She then cut into her abdomen and removed her unborn baby girl before cleaning up and taking the child back to her home in Melvern, Kansas, where she proudly showed her to her husband, Kevin. Ms Montgomery had been faking pregnancy for several months and told her husband Kevin she had gone into labour while shopping. Detectives traced her through e-mails on Bobbi Jo's computer. M William Phelps, who has written a book on the case, said: "Sometimes these women suffer from a condition called pseudocyesis, when they actually believe they are pregnant. "But in Lisa's case she was just a pathological liar. For three years in a row she said she was pregnant when she wasn't and said she had lost the baby. 1987: Darci Pierce, 19, abducted and killed Cindy Ray in New Mexico and cut out her baby. An insanity plea was rejected and she was jailed for life. 1995: Debbie Evans was murdered in Illinois, along with two of her children. A baby son survived, as did the foetus. Three people were jailed for life. 1996: 17-year-old Carethia Curry was murdered by a friend, Felicia Scott, 37, who stole her baby. Scott jailed for life. 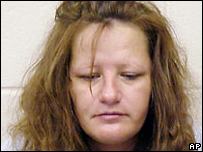 2000: Michelle Bica invited a pregnant friend to her home in Ohio, shot her dead and cut out her baby. Bica later committed suicide. 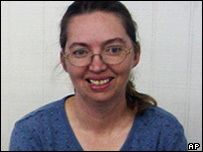 2003: Effie Goodson shot Carolyn Simpson in Oklahoma but unwittingly killed the baby too. She was jailed for life last year. 2007: 18-year-old Amanda Howard was abducted in Missouri but freed unharmed. Two young women face trial for kidnap. "This time her ex-husband said he was going to use it in court to get custody of their kids. She had to produce a baby. "She was backed into a corner. The lies caught up with her." 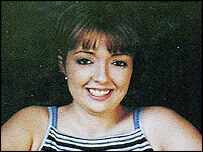 Lisa Montgomery is not the first woman who has committed such a terrible crime. In the last 20 years, paediatric experts have noticed an increase in such cases, although they still remain very rare. The National Center for Missing and Exploited Children (NCMEC) in Virginia says there have been nine foetus abductions or attempted abductions since 1987. That compares with 251 infant abductions between 1983 and September 2007. NCMEC spokeswoman Cathy Nahirny says the motive is most often to strengthen a faltering relationship with a male partner. "Many times the abductor fakes a pregnancy and when it is time to deliver the baby, must abduct someone else's child," she says. "We still do not understand why this small group of perpetrators goes to the extreme of abducting a still pregnant woman and cut the infant from her body. "My guess, and it is only a guess, is that the female abductor has found it difficult to abduct an infant from a healthcare facility, and is pressed for time." One woman who came close to becoming a victim was Sarah Brady. In February 2005 Sarah, who was nine months pregnant, fought off an attack by a stranger, Katie Smith, who had befriended her and lured her to her home in Kentucky. Smith was fatally injured by Sarah and police later found a padded belly suit - Smith had been feigning pregnancy - and a bag containing surgical gloves, cutting instruments and an umbilical clamp. Pam Wells, an expert on infant abductions at a hospital in Chattanooga, Tennessee, agrees that the women involved are sometimes driven to desperation by the need to keep a partner. But she says other psychological disorders can also come into play, and that in some cases the abductor is suffering from "the loss of a significant other". "Some of these women genuinely believe they are pregnant. In fact we get them in the emergency room quite often. They go through all the tests and can't believe it when we say the ultrasound shows nothing," she told the BBC News website. She added: "What has happened in these cases is not rocket science. It doesn't take an extremely intelligent person to plan it out. It just takes a very determined person." In most cases the abductors will take good care of the babies and will often convince themselves the child is their own, Ms Wells says. Montgomery's lawyers offered an insanity defence, arguing sexual abuse during her childhood had led to mental health problems. At a pre-trial hearing, a neuropsychologist also testified that head injuries she had suffered some years before could have damaged the part of the brain which controls aggression. Bobbi Jo Stinnett's baby, Victoria Jo, was later reunited with her father, Zeb, although he is thought to have fallen out with Bobbi Jo's mother over the question of when and what to tell the child about her mother's death.